photographing four girls that are also best friends can be so much fun. 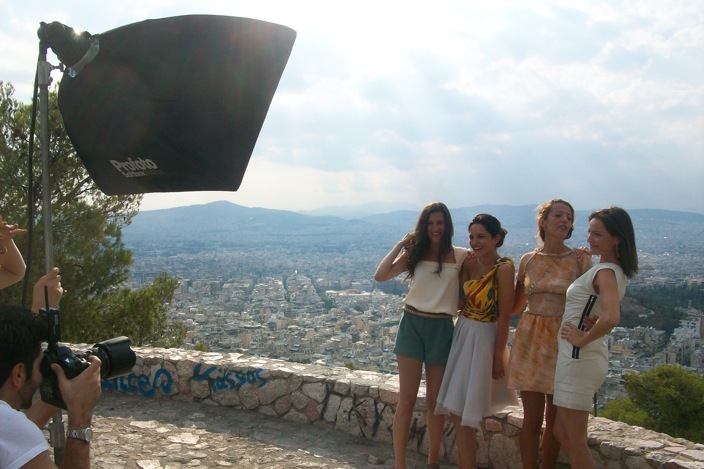 Designer Katia Dellatola with three of her girlfriends wearing her “Twisted Classics” collection. Photo taken by sweetheart Christos Karantzolas.